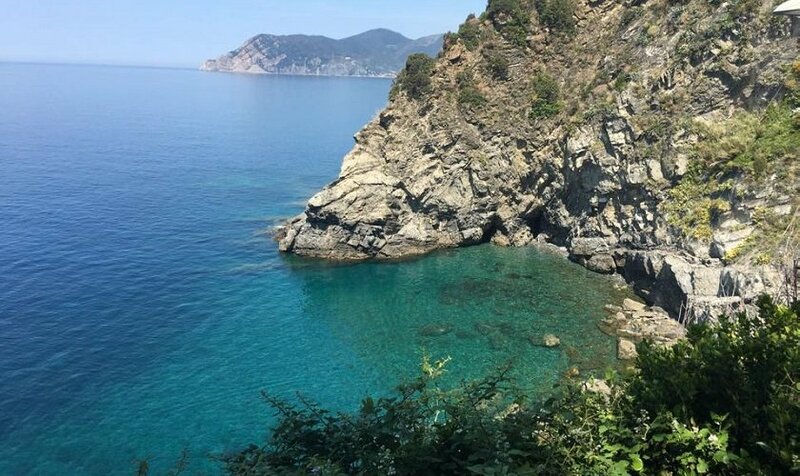 There are many beaches in the Cinque Terre, but most of them are quite hidden and secluded, within walking distance on paths not always easy to walk, or with a private boat. Often they are not marked on the: only with instructions by locals or those who already know their location you can reach the hidden gems of this beautiful coast. Very often they can be reached only witha private boat. The beaches of the Cinque Terre are almost never in sand, but small stones or rocks. In fact, to enjoy the most beautiful beaches and a swim in the area you almost always have to be prepared not to lie on a comfortable sandy beach but to sit on some pointed rock after walking on paths not always simple, on which you can not bring much equipment for the day (however, it is recommended to always carry water with you, as on many of these beaches there are no services). In short, the “secret" beaches of the Cinque Terre are ideal for those who do not necessarily love comfort and like to have a somewhat adventurous holiday time. 1. Albana beach or “The Red ones"
One of the most beautiful and popular hidden beaches in Cinque Terre is the “Rosse", the “Red ones" so called for the typical color of the rocks. The beach is actually called “Albana" and is reached by going down through a path from te village of Campiglia, and much more simply by boat. 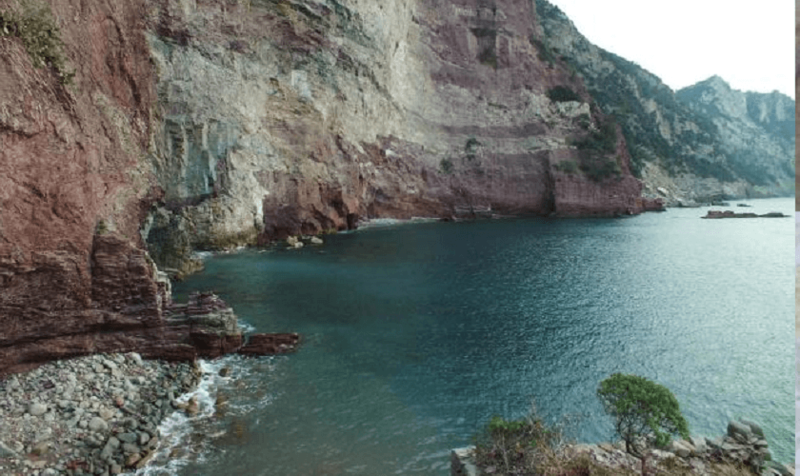 Canneto, near Riomaggiore, has the peculiarity of having a source of natural and fresh water, and an unspoiled sea. Unfortunately, it can only be reached with the boat, stopping between Punta Cavo and Punta Castagna, between Riomaggiore and Portovenere. Corniglia, which is the only village of the Cinque Terre which is not directly on the sea, has at least one of the most popular Cinque Terre beaches, perhaps more than “secret" (everyone knows about their existence) are just a little more difficult to reach and lack of services, so they are not crowded. The Marina of Corniglia, which is reached by crossing the village and reeling towards the sea with a short stair, is a small but pleasant grouping of rocks on which you can accommodate for a beautiful swim. 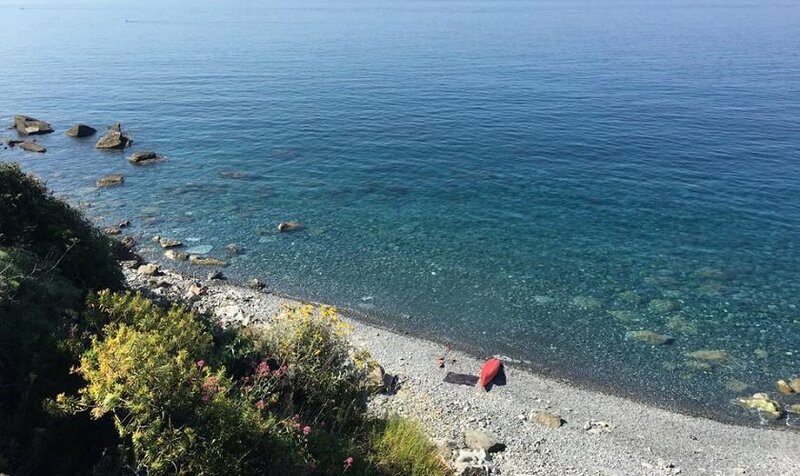 Guvano is another of the “secret" beaches of the Cinque Terre, known by locals and tourists from all over the world to be a naturist beach, but also because it is beautiful and characterized by a shiny and transparent sea. 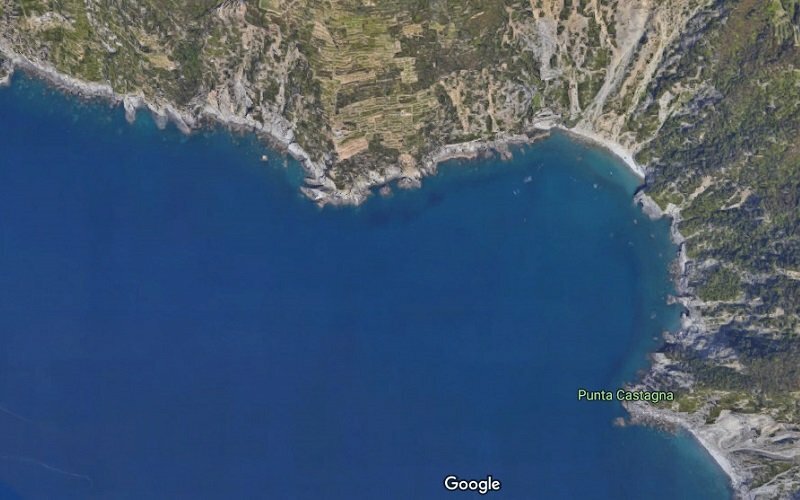 However, the beach is almost impossible to reach: the old way through the Corniglia railway tunnel is closed today. The pathway that diverts from the track from Corniglia to Vernazza is still compromised by the 2011 floods (it can be done for those who are more exotic, but it takes about an hour and a half to walk both from Corniglia and from Vernazza. Of course, you can reach also sandy, equipped and large beaches: the main one is in Monterosso, with bars, restaurants, showers and lockers. Other villages just off the Cinque Terre area offer more comfort, such as Levanto, Framura and Bonassola. 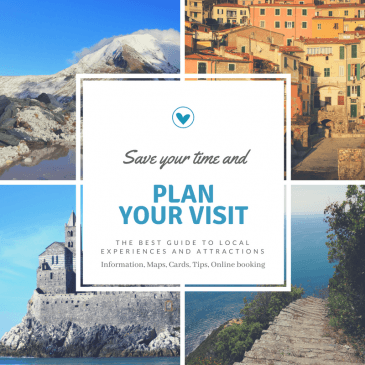 See our map below to find out where are the best secret beaches of the Cinque Terre and its surroundings.